Changing your window treatments with the seasons might sound impractical and expensive, but it doesn’t have to be. You may have noticed more and more sheer window treatments showing up in interior design room photos these days. They make a lot of sense, because professionally made sheer window treatments actually cost a bit less than other custom window treatments since there is less labor and materials used to produce them. This creates a great cost-effective opportunity to change out your window treatments in summer to sheer draperies or fabric shades. 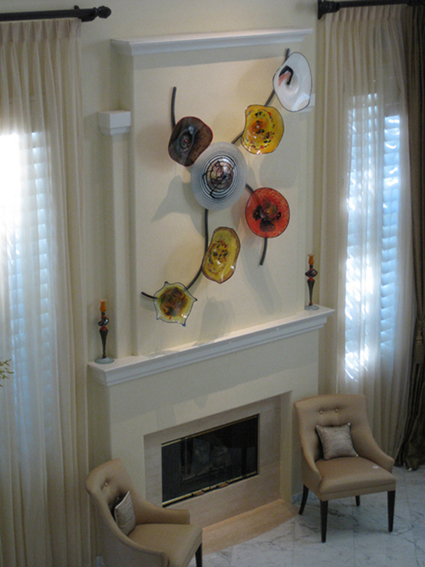 Unique way to hang sheer draperies over a curved window. Source: Decorating Den Interiors iron hardware. Summery shirred rod-pocket draperies. Source: Better Homes and Garden. 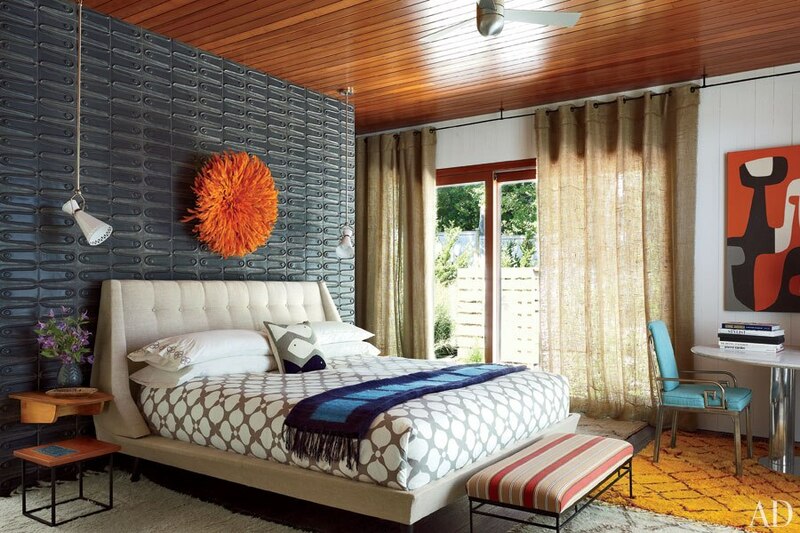 Sheer grommet hole draperies in a modern mid-century designed bedroom by Adler Doonan. 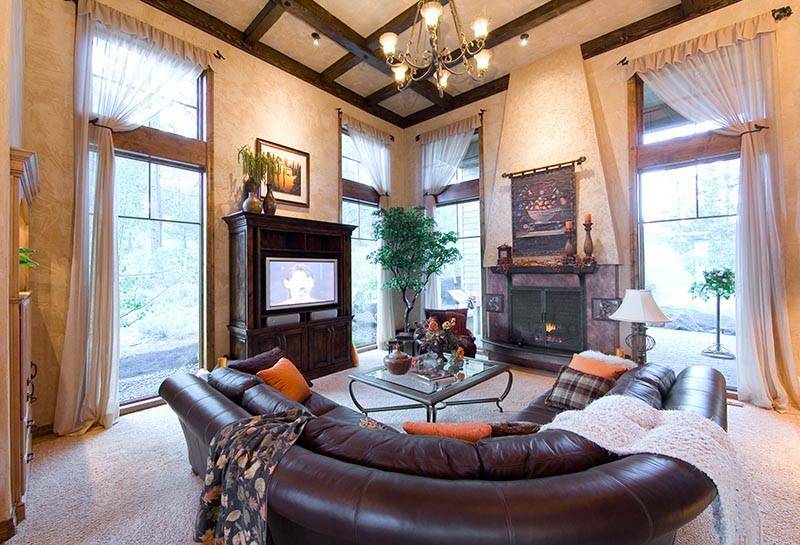 Sheer café draperies are a great look in this traditional living room. Source: Decorpad. 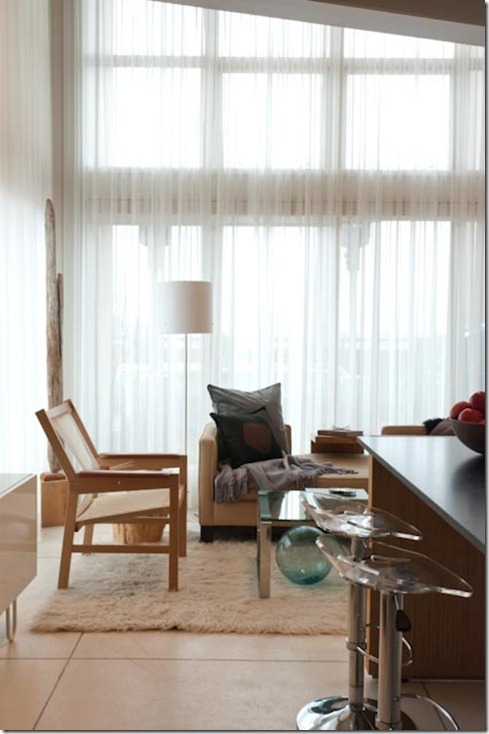 Sheer pleated draperies can work well in a modern living room. Source: Architectural Digest. Another modern living room with sheer pleated draperies. MIichelle Morelan designer. 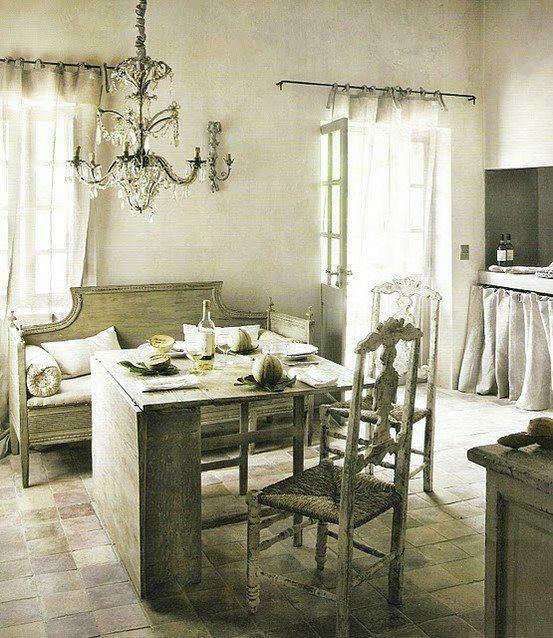 Sheer grommet hole draperies look great in rustic Tuscan or French Country interior design settings. Source: Lula Belle. 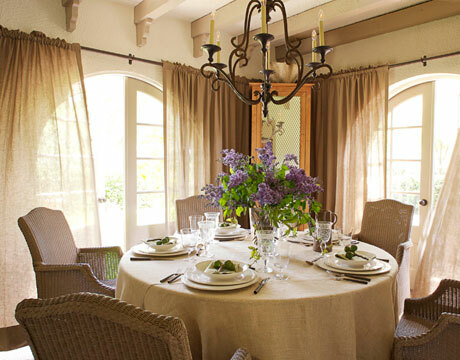 Sheer pleated draperies layered with a custom fabric valance in a traditional dining room setting. 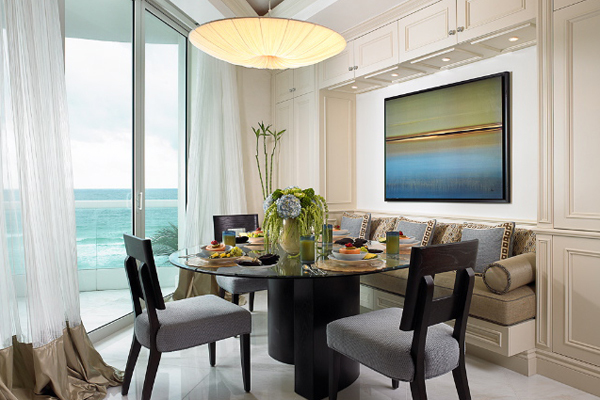 Source: Decorating Den Interiors. 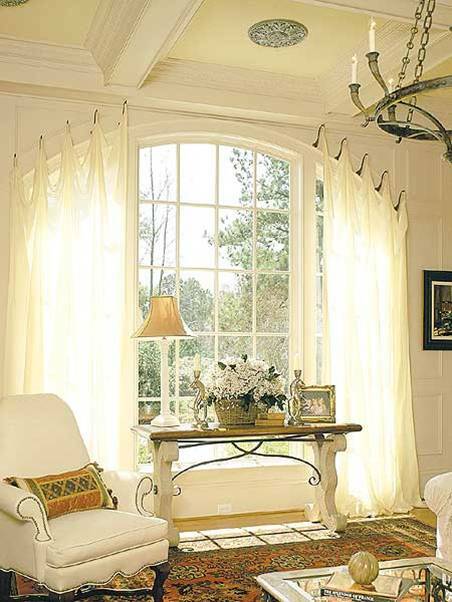 Sheer rod pocket window treatments on tall windows in a traditional living room design setting. Source: Decorating Den Interiors. There is much more than white sheer fabric to choose from however. You wouldn’t believe the amazing sheer fabric options we’re receiving these days in our fabric sample books…. Sheer green draperies on charcoal gray painted walls. Source: Benjamin Moore. 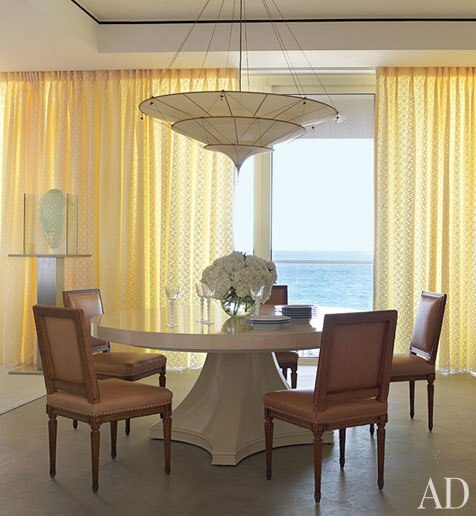 The golden tone in these sheer pleated daperies diffuse the light while casting a calming golden tone across the room. Source: Architectural Digest. Unlined fabric panels are nice for summer, and provide a sheer effect. However, normally we line draperies for better energy efficiency and a more professional look. Source: Kravet. Neutrally colored sheer traversing draperies allow for privacy without blocking all the light. 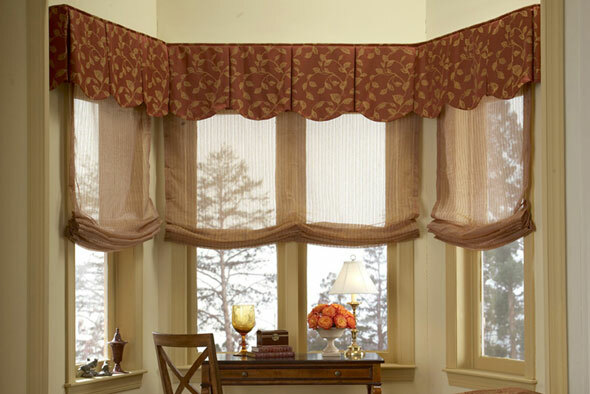 The custom valance on top creates a professionally designed look. Source: Decorating Den Interiors. A great look was achieved by combining solid fabrics with sheer fabric in these draperies. 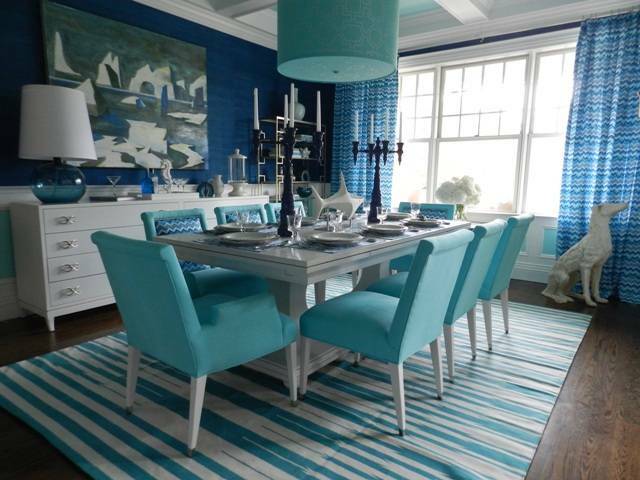 Source: Kravet. Great texture is accomplished through layering of different fabrics. Source: Decorating Den Interiors. 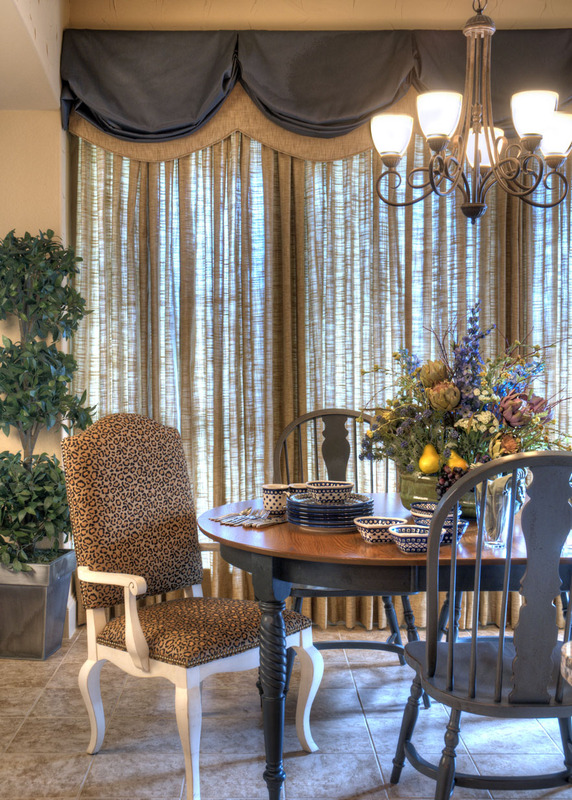 These cafe curtains are a less expensive alternative to shades and blinds, adding privacy without sacrificing light. Source: Apartment Therapy. Sheer window treatments can be fabric shades too! These are a less expensive alternative to mass-produced blinds and shades. 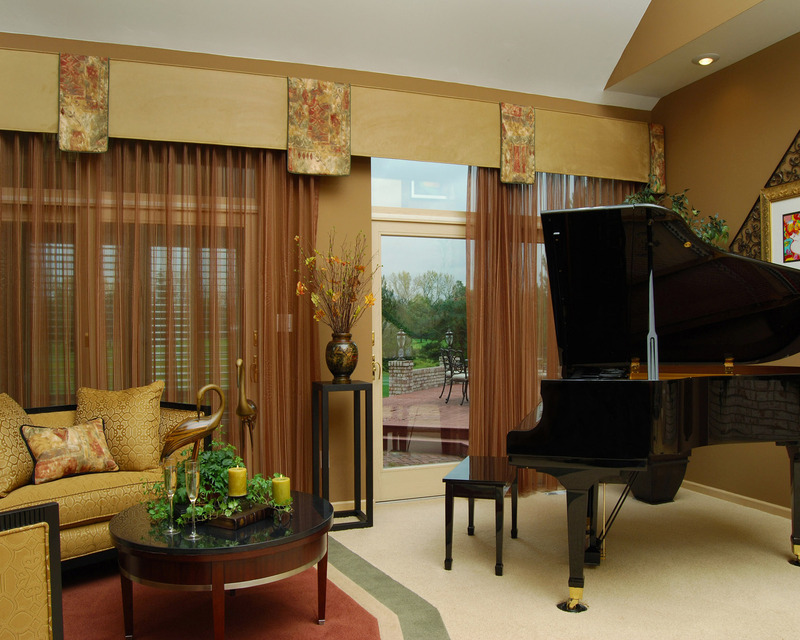 Sheer fabrics are a cost effective way to cover tall windows that require a lot of fabric. Source: Vittorio Omaggio Glass. 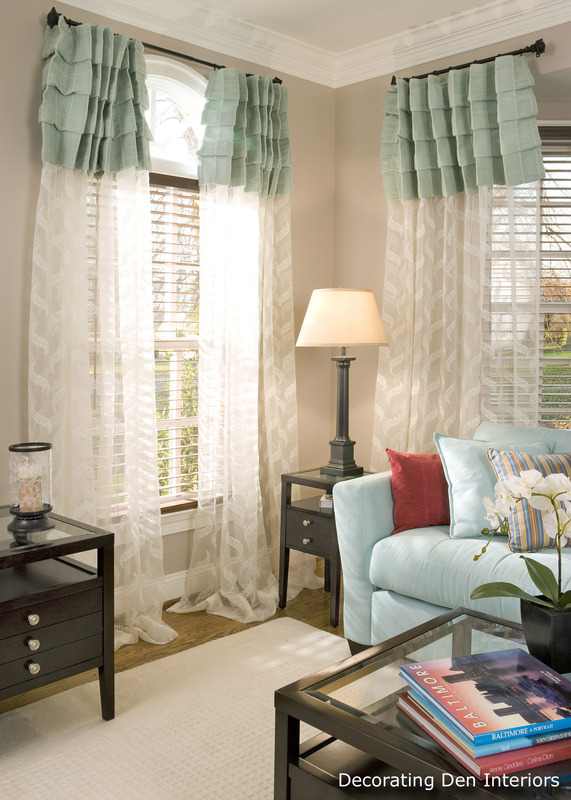 I hope you liked these window treatment ideas and now feel inspired to change out your window treatments in the summer months. Please feel free to subcribe to this blog, or fan us on Facebook for more ideas.